N. Arne B. Svensson was born in Vedåkra, Skåne, Sweden, on October 22, 1955. He received the M.S. (Civilingenjör) degree in Electrical Engineering from the University of Lund, Sweden in 1979, and the Dr.Ing. (Teknisk Licentiat) and Dr. Techn. (Teknisk Doktor) degrees at the Institute of Telecommunication Theory, University of Lund, in 1982 and 1984, respectively. Currently he is Head of Division of Management Support, Chalmers Operations Support, Chalmers University of Technology, Gothenburg, Sweden. He was appointed Professor in Communication Systems at Chalmers by the Minister of Education in Feb. 1993. Before 1985 he held various teaching and research positions at the University of Lund. From Apr. 1985 to Jul. 1987, he was a Research Professor (Docent) at the Institute of Telecommunication Theory, University of Lund. In Aug. 1987, he joined the Airborne Electronics Division at Ericsson Radio Systems AB, Mölndal, Sweden. After a company reorganization in Jan. 1988, he became employed by Ericsson Radar Electronics AB, where he first was a member of the New Projects Group at the Airborne Electronics Division and then from Sep. 1990 to Dec. 1994 a member of the Mobile Telephone Systems Group at the Microwave Communications Division. From Apr. 1993 to the end of 2004, he lead the Communication Systems Research Group at Chalmers University of Technology. In Jan. 2005, he became Head of Department of the Department of Signals and Systems. His consulting company BOCOM, is involved in studies of error control methods, modulation and demodulation techniques, spread spectrum and CDMA systems, and computer simulation methods for communication systems. His current interest include channel coding and decoding, digital modulation methods, digital satellite systems, CDMA and spread spectrum system, and personal communication networks. Prof. Svensson has published one book, three book chapters, 45 journal papers / letters, four editorials and more than 160 conference papers. 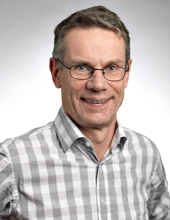 He is a fellow of the IEEE, a member of IEEE Communications Society, IEEE Signal Processing Society, IEEE Information Theory Society, IEEE Vehicular Technology Society, and section C (Signals and Systems) of the Swedish URSI committee (SNRV, Svenska Nationalkommitten för Radiovetenskap). In 1986, he was recognized with the IEEE Vehicular Technology Society Paper of the Year Award, and in 1984, he received the Young Scientists Award from the International Union of Radio Science, URSI. From 2007 to 2012, he was member of the Proceedings of the IEEE Editorial Board. He was editor of the Wireless Communication Series of IEEE Journal of Selected Areas in Communications until 2002 and IEEE Transactions on Wireless Communications between 2003 and 2007. He was chief editor for a special issue on "Adaptive Modulation and Transmission in Wireless Systems" for the Proceedings of the IEEE which was published in Dec. 2007. He was guest editor of a special issues on “Ultra-wideband (UWB) Communication Systems - Technology and Applications” which was published in 2006 and a special issue on "Multicarrier Systems" which was published in 2008; both in EURASIP Journal on Wireless Communications and Networking. He was also guest editor of a special issue on COST289 research for Springer Journal on Wireless Personal Communications, which will appear in 2008. He has been involved in organising many conferences and sessions in topics related to wireless communications. He was member of the council of NRS (the Nordic Radio Society), the executive board of the European network of excellence Newcom, member of the council of SER (Svenska Elektro- och Dataingenjörers Riksförening), director of studies in a national research school in Personal Computing and Communications, chairman of the evaluation committee of the SIBED program at Vinnova, and president of the European Internation 4H Youth Exchange (IFYE) association. He has also been a member of the Swedish 4H for many years. Proceedings International Symposium on Intelligent Signal Processing and Communication Systems, Kaohsiung, Taiwan, R.O.C . There might be more projects where Arne Svensson participates, but you have to be logged in as a Chalmers employee to see them.